Every time the case she filed against Salwa Judum was listed for hearing in the Supreme Court, Nandini Sundar made offerings at the tomb of a medieval ‘judge saab’ in the scrub jungle near her home in Delhi, to give the Judges wisdom and her lawyers strength. ‘I clasped my hands together in prayer when arguments were about to start. I put aside all my agnosticism and social science cynicism. But later, when the case went cold, it was social science and not supplication that came to my comfort’, she writes in Chapter 16, aptly titled as ‘Praying for Justice’. Amusing though it is, it also underlines the uncertainties which the PIL petitioner has to face at every stage of the litigation. Even the decision to approach the Supreme court under Article 32 was taken on the understanding that the victims of Salwa Judum in Chhattisgarh have already lost so much that the finality of the verdict going against them should not deter the petitioners. Apart from Nandini Sundar, the petitioners included historian Ramachandra Guha and former civil servant E.A.S. Sarma. While releasing the book in New Delhi on October 7, senior advocate, and former Attorney General, Ashok Desai said Nandini Sundar is doubly immortalized: first as a PIL petitioner in the Supreme Court and later as the author. As a petitioner in the case against the State of Chhattisgarh, she succeeded in getting a declaration from the Supreme Court that the policy of Salwa Judum, a government-sponsored vigilante movement against Bastar’s tribals, was unconstitutional. As the author of the book, Nandini Sundar has brought to life, the story of her epic legal battle, not just how it was fought in the court-rooms, but on the ground as well, while documenting the case, through her innumerable field visits. The discussion which the author had with the well-known television anchor, Karan Thapar, during the book release function, was not only a tip of the iceberg, but an irresistible invitation to those in the audience to read the book.Reading the book in an excellent font is an additional incentive to the reader. To start with, one is tempted to thank the author for writing a non-fiction book without the baggage of academic jargons, which the author is wedded to, because of her profession. She is professor of sociology, Delhi University, and winner of the Infosys Prize for Social Sciences in 2010. 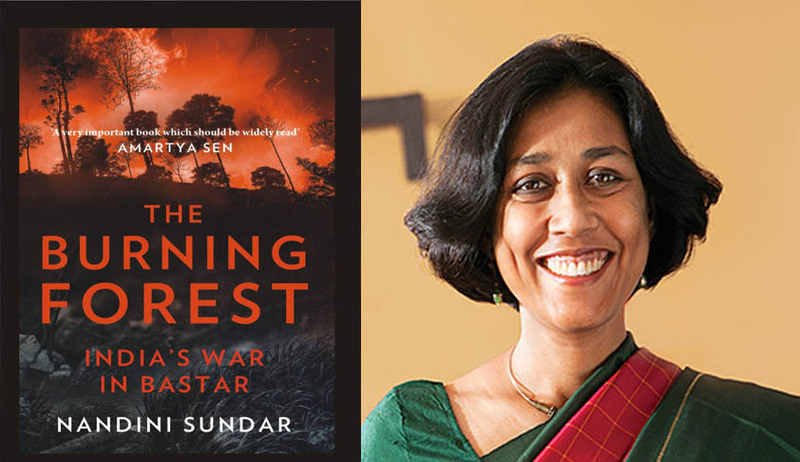 Besides, she has been writing about Bastar and its people for 26 years, albeit in an academic sense. Her first book, Subalterns and Sovereigns: An Anthropological History of Bastar (1854-1996), is an authoritative account of Bastar’s colonial and post-colonial past. Having said that, the book stands out for its poignant style, and success in guiding the reader to comprehend what is wrong with India’s approach to its tribal population. While one finds a stringent critique of the policies of the State and Central Governments in the book, the author maintains a remarkable balance, and critiques Maoism too, for its omissions and commissions. Having worked in the field for decades, in the tribal districts of Chhattisgarh, and interacted with the suffering people and the Maoists, one would expect the author to have a natural inclination to defend the Maoist struggle. But while explaining the Maoist struggle, she keeps a sensible distance from the senseless violence indulged by Maoists. While the 5 July 2011 judgment of the Supreme Court against the Salwa Judum comes in for considerable appreciation in the book’s last chapter, the author does not conceal her disappointment that the Court’s order is by and large, ignored by the State, which is bent on circumventing it. As she says, the fifth phase of the case began in early 2014 after Justice S.S.Nijjar, one of the two Judges who delivered the 2011 judgment retired. The contempt petition filed by her in March 2012 for violations of the order, was not heard in both the literal and metaphorical senses, in this fifth and continuing phase, she observes. One hopes that the Supreme court fast tracks the hearing of this contempt case, especially after the publication of this book, so that her prayers at the grave of the judge Saab are effectively answered. The reason for the author 's disappointment is that the court has not been able to stop the conversion of SalwaJudum into Operation Green Hunt. The court's order was ignored primarily because of the state's resistance, helped by the court's reluctance to ensure its orders were implemented. In this failure of the court, also lies the failure of the civil society including the Maoists, who are disinterested in the case, political parties like the CPI which has no media voice and the activists who have so far not found it meriting a protest or demonstration.